Provide comfort for the family of Vernon Tuller with a meaningful gesture of sympathy. Vernon Wilbur Tuller, age 80, passed away on Saturday, March 16, 2019. He was born on March 10, 1939 in Hartford, CT to Vernon and Theresa (Martino) Tuller, formerly of Avon, CT. Vern grew up in Avon and attended Canton High School Class of 1957, where he met his future wife, Joanne (Langevin). After graduating high school, Vern enlisted in The Connecticut National Guard then eventually came back to Avon to find work at Whittemore Surveyors with lifelong friend Benny Nascimbeni. This led him to a full-time position at a local hardware store with his mentor Pat Antolini. He married Joanne in 1964 and attended evening classes in Business Management at what is now the University of Hartford. Vern acquired Avon Hardware & Garden Center in 1966 and grew his business to be not only the local hub for hardware, paint and garden supplies but also a focal point in the community where friends, families and small business owners came to meet up for quality products and expert advice. “Free coffee for our customers” greeted everyone that walked through the door. He poured his heart and soul into growing a prosperous business, including serving as past President of the Avon Chamber of Commerce. While managing a successful retail business, Vern dedicated his life to his family of five. He was the ultimate caretaker and provider, working tirelessly at the store while gleefully planning the next family vacation in the sun. He loved Disneyworld like any other 10 year old and enjoyed visiting Disney year after year. Vern will be remembered not only as a respected businessman, but as a devoted, loving father, husband, grandfather, brother, and friend. He loved to play cards with friends and family, he loved to fish, putter around his workbench, make jokes with friends and strangers alike, and attend sporting events with his grandchildren. You could often find him puffing on his pipe sitting contently around his family, the nucleus of his world. He is survived by his brother, Russell Tuller and wife Lynda of Granby, CT, his former wife of 42 years, Joanne Tuller of Windsor Locks, CT, daughter Julie Swick and son-in-law Scott Swick of Wallingford, CT, daughter Susan Tuller and partner Tom Curren of Lincoln, MA, and son Jonathan Tuller and wife, Erin, of Columbia, MO along with 4 grandchildren Mitchell Swick, Jack, Annie and Emma Tuller, and friend Evelyn Donaldson. A memorial service will be held at 10:00 AM on Thursday, March 21st at the Vincent Funeral Home, 880 Hopmeadow Street in Simsbury, CT. Burial will follow in Simsbury Cemetery. In lieu of flowers, please send donations to the Brain & Behavior Research Foundation, 747 Third Avenue, 33rd Floor New York, NY 10017. The Brain & Behavior Research Foundation is the world’s leading donor-supported organization dedicated to finding the causes, improved treatments and cures for mental illnesses including depression. 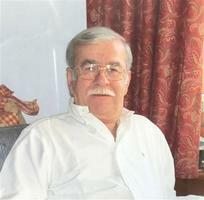 Please visit Vernon’s “Book of Memories” at www.vincentfuneralhome.com for online tributes. Ben and Barbara Nascimbeni sent flowers to the family of Vernon W. Tuller. Ben and Barbara Nascimbeni purchased the The FTD Truly Loved Basket for the family of Vernon Tuller.